Established in 1995, EMA Global is a medical assistance company operated by industry veterans and top health professionals. We provide medical evacuation and repatriation, and pride ourselves on our world-class bedside to bedside transportation services. EMA Global is fully accredited by EURAMI, a top independent European organisation that assesses operating standards of medical service providers that utilise rotary wing jets for transporting patients in need of medical assistance. When it comes to medical personnel, every member of our staff is handpicked with a focus on excellent track records, experience and professionalism. To keep them up-to-date, we perform rigorous recurrent training and frequent familiarisation assessments. Through our industry partners and our own network of alliances, EMA Global is equipped to provide worldwide medical assistance to our clients 24/7. Working with fully accredited industry partners across the globe, we are able to reach you wherever you are, to assist you with whatever medical needs you may have. In recognition of our focus on patient safety, EMA Global is the only assistance provider in Asia to gain full accreditation from EURAMI to operate air ambulances to transport patients in need of medical assistance. EMA GLOBAL also has full access to a complete range of state-of-the-art mobile medical equipment, enabling the cabin of our air-ambulances to be converted into flying Intensive Care Units at short notice. 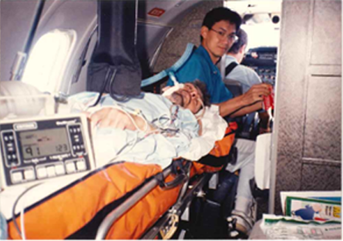 EMA Global was first operated under Express Medical Assistance in 1991,founded by Dr Winston Jong. As an anaesthetist and intensivist in an acute hospital, Dr Jong has the advantage of providing aeromedical services at extremely high level of expertise. 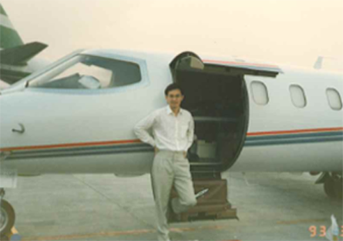 Dr Jong was quickly established as the leading expertise in aeromedicine in the region as the sub-speciality of medicine was not practiced widely. Eventually, EMA became the pioneers in Asia to perform transfers with ECMO and IABP support. Over the years, EMA has evolved from a medical evacuation specialist to become a full-fledge medical assistance provider , presenting our clients with a holistic service offering. EMA Global’s vision is to lead the medical transport industry, delivering peace of mind in every mission we undertake. Life is truly priceless. That’s why we’re committed to sharing our expert knowledge broadly and openly, ensuring no one is left stranded in times of medical need. As we hone our domain knowledge and expertise, we share them with our customers, the industry, and the world. We invest in our people, empowering them with the medical expertise required to deliver unparalleled expert care. We also invest in comprehensive equipment, ensuring contingencies are catered for in every mission.